Crafted and contoured so it's perfect for any printed corporate logo, the Bowie Sports Bottle is both reliable and extremely convenient. 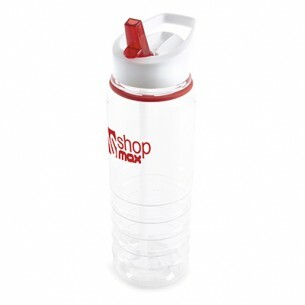 Capable of carrying 800ml of your favorited drink, this is an excellent everyday sports bottle. Sleek and durable, its new look makes this the ideal sports bottle for athletes, sports stars, and anyone who's interested in keeping fit. Specifically designed to resist wear while keeping your satisfying beverage right by your side, this is one convenient bottle.